Image credited to Arul L.
On February 27th and 28th, I had the honor to attend both of our school musical’s dress rehearsals. The show is double-casted, so two students were able to play one role, but on opposite nights. Both casts did an absolutely fantastic job playing their roles. One thing that needs to be praised is the amazingly designed costumes. They were specially made by Mrs. McReynolds, our school’s musical director. Day Creek Howl journalist, Joshua B., also performing in the play, informed the Howl that Mrs. McReynolds would spend all night sewing and designing costumes, yet she still came the next day, ready as ever to coordinate the musical. Magnificent is the only word that can describe the opening scene, which included most of the cast performing the song, “Belle”. Some of the main roles in the musical were Beast, Gaston, Lefou and Belle. 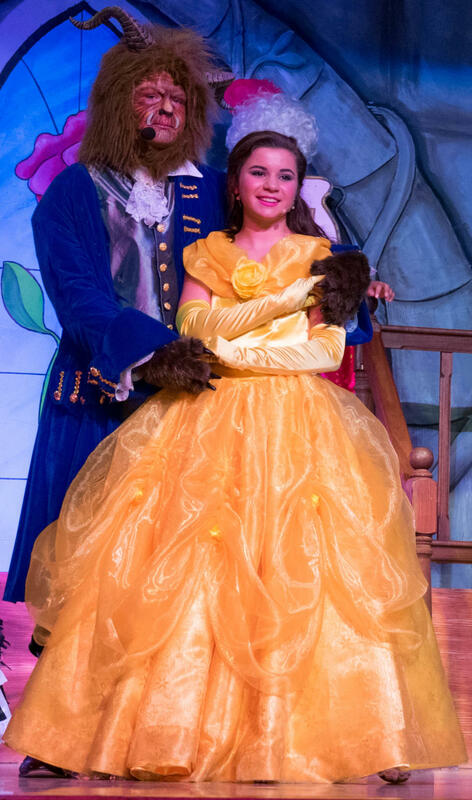 The students who played Belle were Phoebe K. and Melissa M., both eighth grade students. 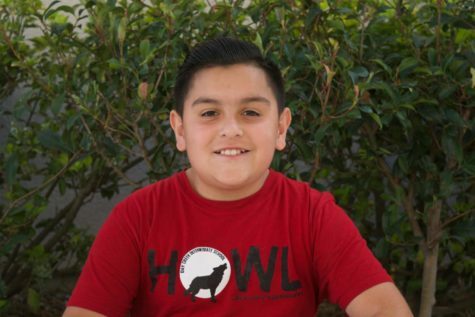 The students who played Gaston were Jackson R., a seventh grader, and Logan H., an eighth grader. The students who played Beast were Tavian W. and Ben T., boths eighth grader. Finally, the students who played Lefou were Joshua B. and Daniel H. both seventh graders. Although these were only some of the main roles, everyone in the musical did a remarkable job playing their characters, and the whole musical could not have come together if it were not for each of the actors and actresses. As far as the set goes, the designers worked very hard to get each piece come together. Every scene looked fantastic and it was almost as if the audience were watching the movie. All of the sound and light tech was well constructed and made the play stand out even more than it already did.